A few months ago I jumped on the bandwagon that is Twitter. There was so much talk about it on the interweb that I felt a bit left out not using it. I ummed and aahhed, however, because I feel like I’ve got enough on my plate but I eventually caved in and created myself an account and started Twittering. I actually quite like it because it has attractions that writing a longer blog post doesn’t. Just as I did this I started hearing about Plurk. For those who haven’t heard of Plurk, it’s similar to Twitter in that it’s a micro-blogging platform but it’s a lot friendlier in its reply mechanism and timeline scenario. 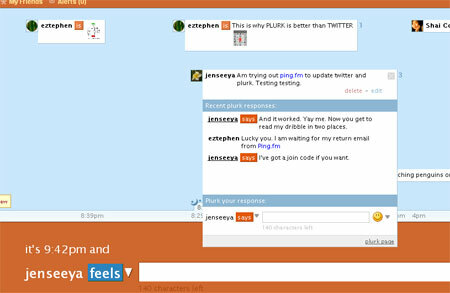 You can now easily add your Twitter friends who are also on Plurk. On the weekend I created a Plurk account. I soon realised that I did not want to update on one platform, then switch to another and update that. It also means that I have to create new friends on Plurk when I’ve already got them on Twitter (well some anyway). I had to email them to get a code to join as it’s still in Beta. I did this, and two days later got the email. 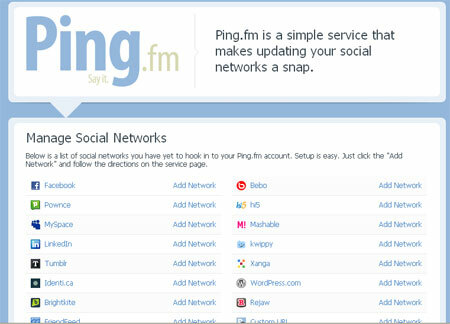 It was really easy to get setup and I’ve added Twitter and Plurk to my list of social networks I want to manage. I may also add Facebook down the track after some more experimenting. Now that I’m a Pinger I have a code to pass onto whoever’s interested in joining. Just leave me a comment and I’ll email you back with it. I also have no objection to having more friends on either platform – hint hint. Tonight I got home from work, and immediately started whizzing around doing bits and pieces. One job I did was water the flower seedlings we planted over the weekend after the mammoth weeding effort. As I stood there watering them I breathed out a big sigh and thought that this is what I’d rather be doing than being at work. I would have twittered this, but it would have had to have been two parts. 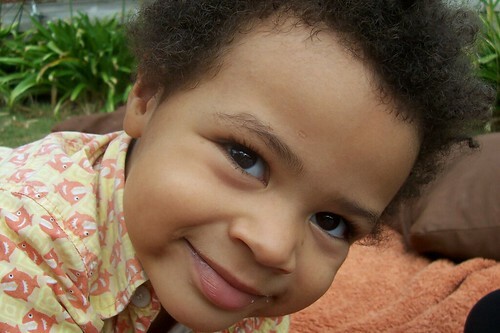 ‘My little treasure’, I called him as I talked to his after school carer the other day. It had been an interesting day. I’d spoken to the deputy prinicipal earlier that day, as JJ spent most of the day in his office after being really disruptive in the classroom. A year or so ago I’d have really taken this to heart but now I’m a lot more philosophical about it. The deputy told me that JJ’s really intelligent and he knows what he’s doing when he’s being disruptive like this but he does it anyway. He said that in 25 years time I’d look back and think, ‘gee he was a ratbag at school’. I hope he’s right but I hope it’s sooner than 25 years. These days I take one day at a time. The day before this phone call JJ won a gold medal at after school care for excellent behaviour and he was the best kid to have around that night. When he’s being really nice to me, and polite it’s almost seems surreal but I do enjoy those moments because they don’t last. The next morning he was very different and I knew that he’d be in for a bad day at school. Sure enough I was right. But then yesterday he was fine. I could be living in Topsy Turvy land because I don’t know which way it will be at any given time. One way of looking at this is that at least if it is bad at one time, then I know it won’t stay this way. This is all a huge learning experience for me and I’m sure it’s making me a stronger and better person. Yes it is. PS: I took the photo above in King’s Park when we had our recent Perth trip. I was standing around admiring the scenery, or sheltering from the rain, or both. 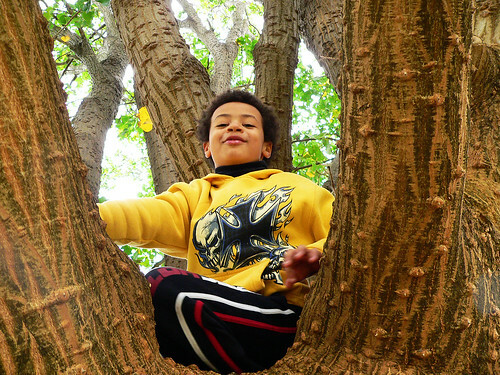 JJ had disappeared then he appeared just above me in this tree. Don’t you just love the texture in the tree? I’ve got no idea what type it is but I love it. Further to my initial thoughts about the Sony Ericsson phone I’m trying out I’ve been keen to try its photo capabilities. Instead I got sidetracked by the video option and above are the results. I also got the tiniest bit creative using Nero. It’s dead easy to transfer files from the phone to my computer. I just hooked up the USB cable supplied, everything was recognised and I just copied files using Windows explorer. I am only using the phone’s internal memory as this phone uses a different type of memory card than the mini SD card that my Nokia uses. I presume it would all still be pretty easy though. I also created myself a Vimeo account to upload the video to. I’ve been impressed with other movies I’ve watched that are on this website and I thought I’d compare it with YouTube. If I’d put this on YouTube the quality would probably be the same, but I must say it was a damn site easier to embed the Vimeo video on this blog than using the YouTube embed code which always seemed to break my layout. I should do more of this, that is take little videos of the everyday, and it’s so easy to do these days with devices like this. Now, if only I could remember that I have this camera and video capability in my handbag I’d use it more often. I also wish I’d remember to do these things when there’s more natural light because this video is a bit dark. I’ve had the phone now for two-three weeks now and apart from a dead reception zone in my kitchen (not the phone’s fault as it’s happened with other phones I’ve had) it’s served me well. If I could pick on anything it would be that the letters on the keypad are a bit small and not all completely backlit so they can be a bit hard to see, especially for eyes that aren’t as young as they used to be. 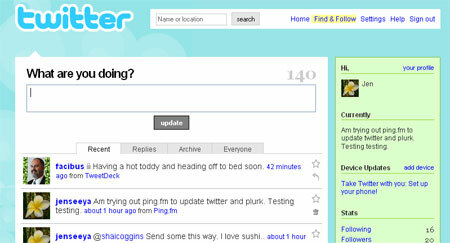 On 27 April 2008 I started Twittering. This isn’t a post about what it’s about or how to use it, but an observation about Twitter and how it’s kind of like blogging for me. Twitter only allows you to post up to 140 characters which isn’t that much. It is, however, a great exercise in being succinct and for that alone it’s worth it. Because you can only post a small amount, it’s also very quick which obviously satisfies a lot of people because a lot of people are doing it. For those of you who only read me via a feed reader I’ve taken the liberty of posting my tweets (nearly all of them). It gives some insight into the (minutae – I knew I’d spelt this wrong) minutiae of my life that I don’t write about in my blog. I do have my latest tweets in my sidebar. If you twitter and would like to follow me, please feel free. I might even follow you back. Like some other social networks I’m not a slave to it as my fairly infrequent posting attests to, but I do get over every now and again and see what people are up to and to add something myself. One tweet I would have added but by the time I got home all I wanted was a drink, was ‘It took one hour to get home last night because a lane was blocked off on South Road. Grrr’. (It normally takes 20 minutes max! ).